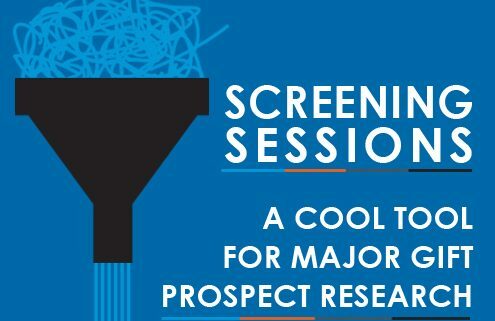 Screening sessions are my favorite major gift prospect research tool. 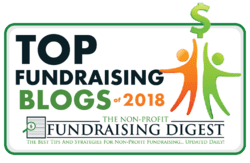 This informal prospect research strategy helps you find out anecdotal information about potential donors. And the info comes directly from community members who know them – their friends, associates and colleagues. Why do I like screening sessions so much? Because the information you obtain is often more up to date, on point and accurate than much of the data you can find out online. Word of mouth data can be an excellent source for major gift prospect research. You see, in many communities, families with wealth are well-known. Also, the corporations and foundations who are big community donors are well-known. It’s not difficult to identify the sources that have the capacity to make major gifts. What’s more, you can find out a lot of information about these donors just by asking the right people who know them. What actually is a screening session? It’s when you confidentially share a list of prospects with other people, seeking input on the prospects’ capacity to give and affinity for your cause. You go down your list of names and funders, and you “screen” the names as you discuss them one by one. 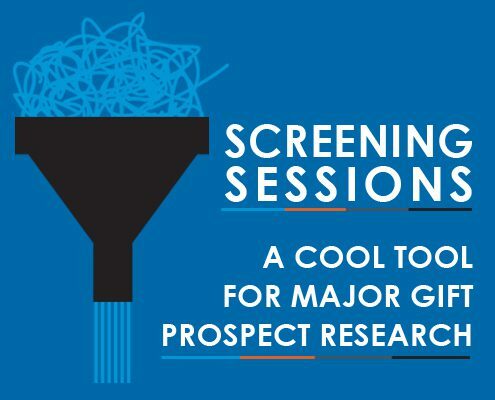 Why are screening sessions such a terrific major gift prospect research tool? Because the anecdotal information shared in this kind of discussion can be more accurate and more up-to-date than any written records you may be able to access. I find that often, various donors’ friends and acquaintances are more than willing to offer advice and guidance on how to approach the donor. And this includes corporate and foundation funding sources as well – there’s always helpful word-of-mouth information to be gleaned. Who can participate in a screening session? You need to be meeting with donors, philanthropists or community leaders who know the fundraising game. That’s what smart fundraisers do anyway – they are out and about in their communities. The leaders you meet with will often find the discussion natural and even enjoyable as they help you figure out where the money is for your cause. No kidding! Don’t engage people who are not familiar with fundraising – it can be awkward. Don’t put them on the spot! What kind of information might you find out in a screening session? You can find out information about your donor’s family, their business, possibly their health and their finances. Even more, you can discover their interests and passions, what other organizations they are part of, where their networks are. 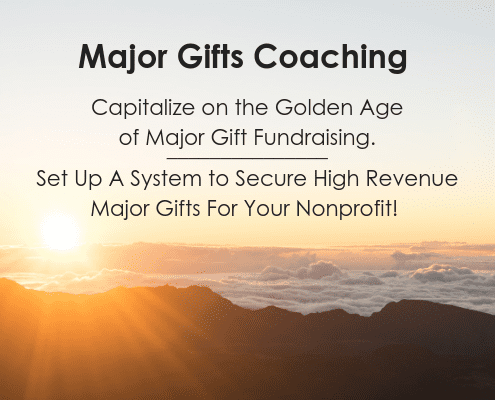 You can find out immensely valuable information that can directly shape a major donor’s cultivation approach or solicitation schedule. How to develop your prospect’s interest. Is it a good or bad time to approach your prospect? How and whom to approach for an initial gift discussion. Who might be able to influence your donor’s giving? Sometimes you hear personal information that you don’t really want to find out! Just remember, this information is highly confidential, and you must be extremely discreet with these discussions. Never, ever put in writing anything you would not want your donor to read. That’s one of our all-time ethical rules for fundraising. Be careful: This is a delicate discussion. Sometimes it feels awkward to thrust a list of prospects in front of the other person. It just feels a bit crass. In those cases, I don’t bring a list. Instead I bring a few names in my head or written on a page, and just throw them out orally one-by-one to my partner. That makes the discussion more informal, and everyone is more comfortable. Now you can understand why I love Screening Sessions as a major gift prospect research tool. This kind of anecdotal data is wildly valuable to a major gift fundraiser. How to ask someone to engage in a screening session. Be discreet – remember this is sensitive stuff. Make it sound easy and not so very heavy. And tread lightly. If the person you are meeting with feels awkward, then back off at once. Two kinds of screening sessions: group and one-on-one. This is my preferred method for screening discussions. When you’re in a private discussion with another donor or community leader and just yourself, you can find out much more. The person you are meeting with is usually more willing to share their thoughts than when they are in a larger group. Of course we all measure our words more carefully when we are in private – that’s just natural. We are talking about sensitive, confidential information – all the more reason to be discreet. Group screening sessions can also be very productive. But you have to handle them carefully. A donor issues the invitation. 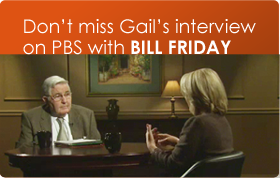 Gather trusted insiders who understand fundraising. Make it social and relaxed. People will feel more comfortable. Have the event as someone’s home. Preferably a board member or major donor does the inviting. Smaller groups are better – no more than 5 or 6 guests plus staff. Large groups can be really awkward. Take the attendees’ names off the list of names that you are screening! Go thru the list and elicit comments. Be sure you have a facilitator to keep the discussion moving. Otherwise the group may get stuck talking about one funding source or family, and you’ll never get down your list. Bottom Line: Screening sessions are an excellent major gift prospect research tool. How do you use this terrific tool? Does it work for you? 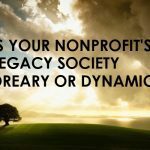 Questions and Answers about Monthly Giving Is Your Nonprofit’s Legacy Society Dreary . . . or Dynamic?